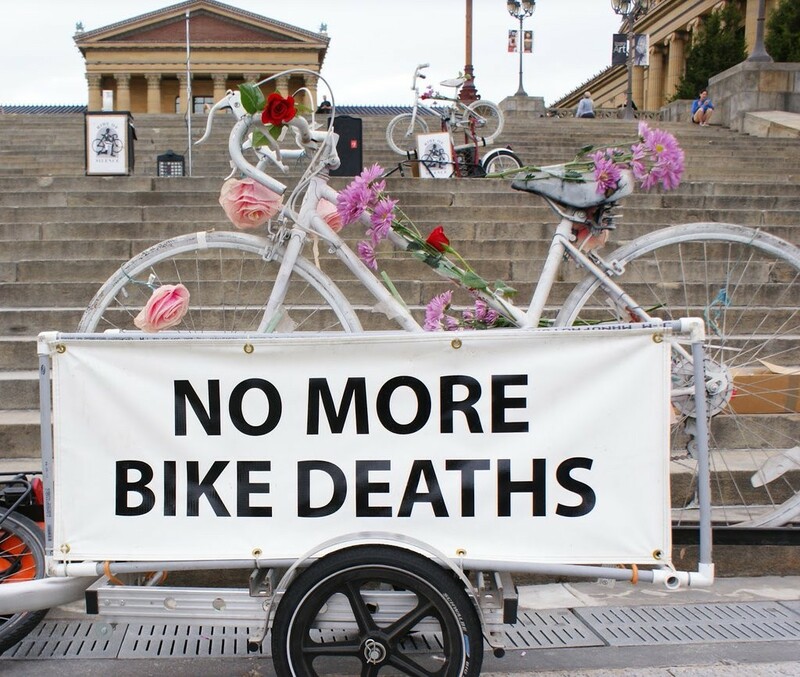 The Bicycle Coalition of Greater Philadelphia will be leading a trip to the Capitol Complex in Harrisburg, Pennsylvania, on June 8 to rally for safer streets in Philadelphia. Philadelphia engineer Jamal Morris was killed while riding his bike on Market Street in West Philadelphia last month. Since that time, the Bicycle Coalition has been working with Channabel Latham-Morris, Jamal’s mother, and many of Jamal’s friends, to advocate for state legislation that has been proven to make streets safer for people on bicycles, pedestrians, and drivers. Jamal Morris’ family and friends at the Ride of Silence on May 18. · House Bill 950: Extend Red Light Camera Program to 2027. Pennsylvania’s red light camera program is set to expire next year. The program must be extended for the next 10 years. 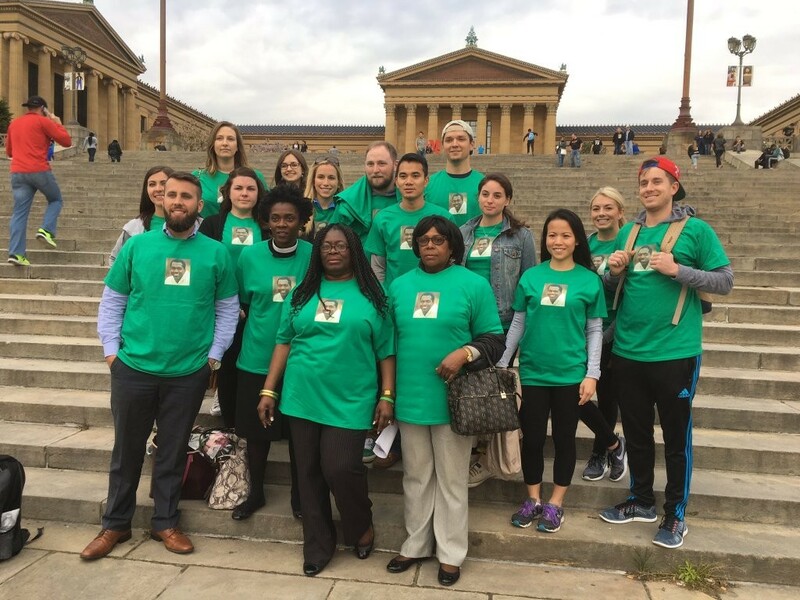 · Senate Bill 1034: Photo Enforcement Program on Roosevelt Boulevard. This bill would create a pilot program to reduce speeding on Roosevelt Boulevard. Speeding currently accounts for a third of all traffic deaths in Pennsylvania and Philadelphia. · Senate Bills 535 and 559: Authorize Municipal Police to Use Radar. This bill would allow local police departments throughout Pennsylvania to use radar to catch drivers for speed. Pennsylvania is the only state in the country that does not give local police this World War II-era technology. Between those meetings, letters from individuals who responded to our action alert, a paper petition the Bicycle Coalition and others have been circulating, continued talks with legislators and staff, and growing attention in local media, together we’ve made a lot of progress. Watch NBC 10 Investigators speak to Latham-Morris and the Bicycle Coalition about safety measures. On June 8, we hope want to make our collective voice even louder. The Bicycle Coalition of Greater Philadelphia and Channabel Latham-Morris will lead a rally in the State Capitol for automated enforcement. Interested in attending this event? Click here to RSVP. Once we know the size of our group, we’ll be in touch with all RSVPs about transportation arrangements. Therefore, it’s very important you RSVP through our website to this. It is time to provide an improved level of safety for our pedestrians and bicyclists.